I closed and locked the door on my empty flat, and headed to Willesden Green Station for the last time as a resident of Cricklewood, Brent, London today. After only 2 months in the city, I now have a previous London address. Now in conversation I drop in phrases like, “...this place near Cricklewood, where I first lived when I moved to London...” to make me sound like an old timer in the city. Who knows, perhaps I will make such a big impact on this city that the fact that I lived in a studio flat in North-West London will some day be important, and the folks at English Heritage will honour that. 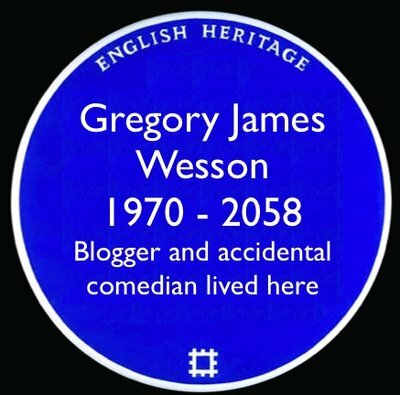 Some day in the future, perhaps you will be strolling down Anson Road in Brent and see a blue plaque on the wall of an otherwise unassuming little row house identifying I lived there. 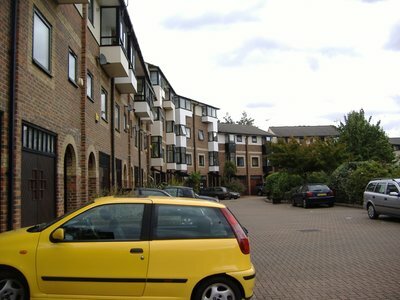 Moving out isn’t really that great a shock, as the flat in Cricklewood was always planned to be a temporary situation until I could figure out where in London I wanted to live and what would be convenient for work. Despite the fact that I don’t actually have work yet, I have decided to move, at least for the next three months all the way to the South-East of the city and into the borough of Tower Hamlets. Ah, Tower Hamlets. Sounds idyllic, doesn’t it? The word hamlet, defined as “a community smaller than a village,” conjuring up images of cottages in the English countryside, the Tower alluded to perhaps being the church steeple at the end of the main road? 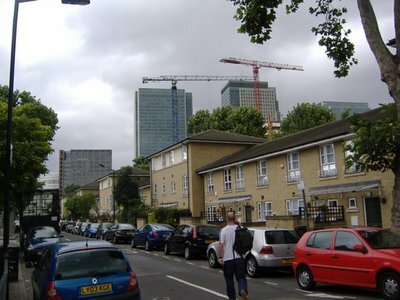 In fact, Tower Hamlets is the heart of East End London, just to the east of the medieval walled city of London (most of the wall is gone now). 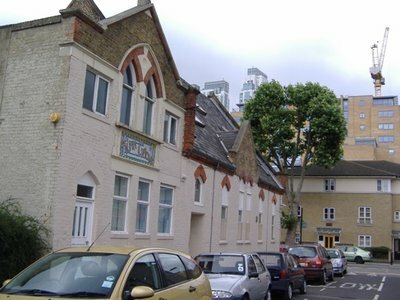 Formerly a set of small villages to the east of London, as the city of London expanded in the 19th century, many people, especially the poor and new immigrants found themselves living in an increasingly dense east end. The “east end” became synonymous with poverty and places like Wapping, Aldgate, Bethnal Green, Mile End, Limehouse, Bow, Bromley-by-Bow, Poplar, Shadwell, Stepney got a bad name. The most infamous area in the east end became Whitechapel, where gin houses and pubs serving both prostitutes and their clients provided the perfect opportunity for the “world’s first serial killer,” Jack the Ripper to terrorize the area from 1888 until 1891 through the murder of 11 women. Somewhat to the south of the traditionally defined East End sat a rather marshy island that came to be known as the Isle of Dogs. This area, prone to flooding, is formed by one of the largest meanders of the River Thames. Originally settled in 13th century, the area was abandoned after a breach in the river embankment in the 14th century. Dutch engineers, familiar with drainage problems, were able to clear the area again in the 17th century. Some of you might be wondering how the Isle of Dogs came to get its name, especially seeing it is more of a peninsula than an island. Unfortunately, like many things in London, there are lots of rumours but no real answers. Some say that it is due to the kings raising greyhounds for hunting in the area. In the 19th century, the area became one of the most important centres for trade in London with the opening of a number of docks. The city of London’s river wharves were over-crowded, and boats would often have to wait to unload. To ease this crowding, docks were constructed on the Isle of Dogs and in other east end districts to serve to growing city. 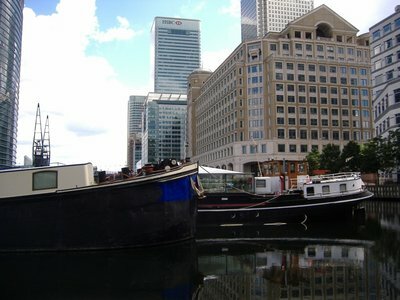 The first dock on the Isle of Dogs, the West India Dock, was opened in 1802 and connected to the city via canals and later railways. The Millwall and Poplar docks followed soon after, and the area became a bustling trade hub. 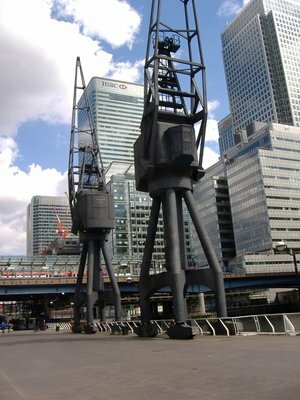 The Docklands regeneration project was soon born, which for the Isle of Dogs meant the development of Canary Wharf by a couple of Canadians. After building the UK’s three tallest buildings and naming them after Canada and Canadian place names, Toronto developer Olympia and York promptly filed for bankruptcy in 1990. The area was a bit of a white elephant for the better part of a decade, with half-full towers. Eventually, though, demand caught up with supply, and the building started up again in 1997 and continues to this day. 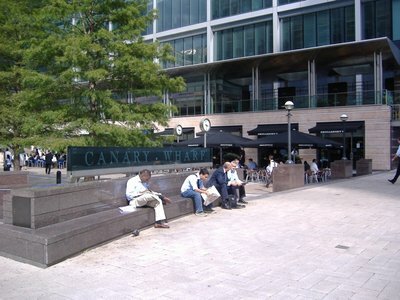 Further south, the Millwall Dock was opened originally in 1868, and in the 1980s saw a less ambitious redevelopment as both a commercial centre and residential area. Including the Barnfield and Iron Mongers development that I am moving into. So now I am settled into my double-room ensuite in a house with 5 other rooms and as follows, 5 other roommates. 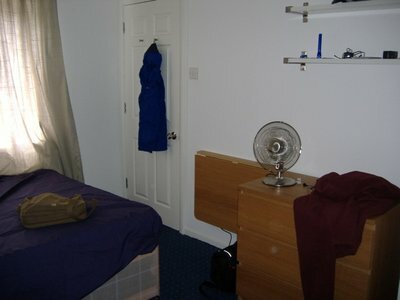 I wasn’t planning on living with roommates when I moved to London, but two things changed that. First, landlords are surprisingly uninterested in renting you an apartment when you answer No to questions like, “are you employed?” “do you have any references you’ve known in the UK for the past 3 years?” and “do you have anyone in the UK who could guarantee your payments?” Secondly, I wasn’t really meeting anyone living in a studio apartment by myself, so I figured this would be a good way to get to meet some people. I haven’t met my roommates yet (I assume they are all at work, suckers!). Hopefully they’ll be cool. Judging by the sports crap, video games and DVDs left lying around in the main room, they look like nice guys. I have a 1st floor room (2nd floor in North America) overlooking the courtyard with its leafy trees and bricked driveway and walkways. 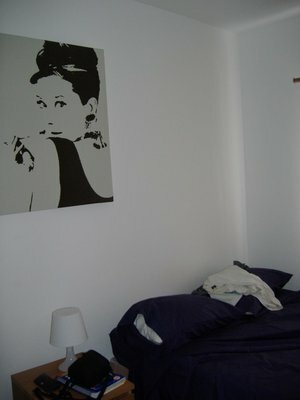 The room came furnished, and even has a big shot of Audrey Hepburn on the wall, who I’ve often commented is very pretty. 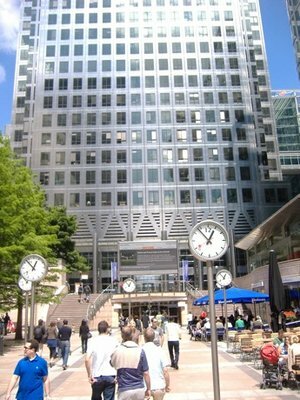 The house is probably a minute walk to the Thames River, about 20 minutes by foot to Canary Wharf and only a minute from the Mudchute Docklands Light Rail (DLR) station. 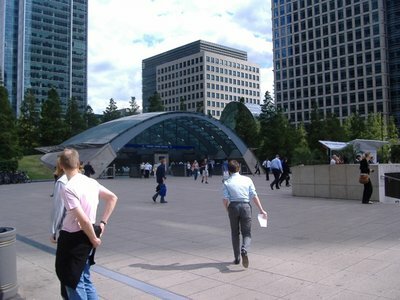 (An aside - I have a dirty poem that I composed using the DLR station name of Mudchute and tube stations St. John’s Wood and Shepard’s Bush. If you are over 18, remind me to tell you next time I see you). So begins phase 2 of a yet to be determined number of phases of my life in London. I may be from Cricklewood originally, but from now on, I’m a Docklands boy. At least, until I move again. Happy House/Home Warming! I hope it brings luck on the job front!